Decades ago, I was both a student, then instructor at Fort Worden. There were some amazing encounters — George Tsutakawa, Karen Guzak, Mary Ann Peters, Barbara Schwartz, Elaine DeKooning, Sam Hamill and others. It was about working together, learning, exploring, painting and negotiating the concept of creativity, among artists, in making. There are realms of creativity that range through our lives — the notion the simple gestures that all of us offer, in touching the edge of creative action; and then there are others that are more comprehensive — deeper investigations. A reflective poem, a small sketch, a variation on a musical theme, a note on the contemplation of something beautiful, or the gesture to a photograph made — to each, their own, in creative action. Make, act, do. There are others that are even more engaged, deeply living — breath by breath, the spirit of the making of magic at that edge of the mind in which artistic action — that doing — is embraced as a form of consistent living. I strive for that. Living there. I’ve been blessed, over time, as in the opening intonation here, with exposure to remarkably creative beings. My mother and father. Painters — Kenneth Callahan. Paul Horiuchi. Robert Rauschenberg. Frank Stella. Designers — Milton Glaser. Dale Chihuly. Jack Larsen. Scholars — Annemarie Schimmel. Joseph Campbell. Mircea Eliade. Architects — Dawn Clark, Tom Kundig. Jim Olson. Maya Lin. Richard Meier. Sculptors — James Turrell. Anish Kapoor. Musicians — Brian Eno. 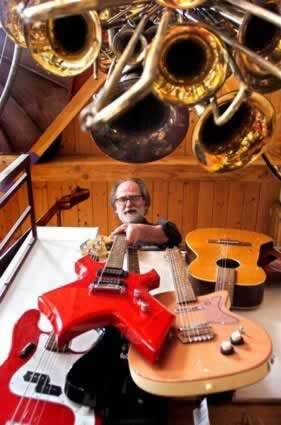 Harry Partch. Zakir Hussain. Stuart Dempster. Ralph Towner. Paul Winter. Gerard Schwarz. When you consider the idea of sound, in place, Calvin Trimpin is one that comes up. If you’ve got the time, explore this. 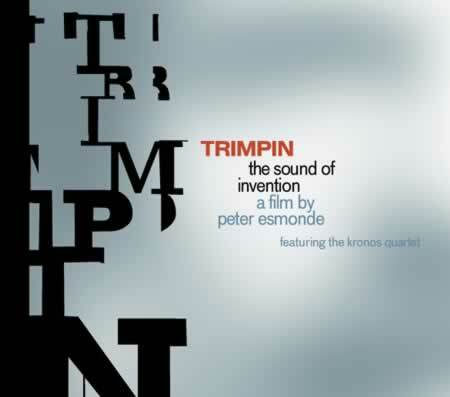 Captivating, is the nature of Trimpin’s work in simply exploring, simply, sound. Found sound. What I wonder about: personal brands, icons and totems.